Posted on Wed, Jan 12, 2011 : 12:05 p.m. It's been almost four years since local folk favorite and rising star Chris Bathgate's last full-length record, "A Cork Tale Wake." Its follow-up, "Salt Year," is slated for release on the Quite Scientific label on April 26. Bathgate explained the inspiration for the album title in a press release: "When I realized I was in the salt year I was holding a broom handle like a baseball bat. I was staring down a man in a yellow striped racing jacket throwing a boulder through the plexi-glass of my house's front door. I had heard him knocking earlier, on the door of a house no one ever knocks on. The cops told me his blood alcohol level was five times the legal limit, and he was looking for his girlfriend. "The last day of the salt year I drove home through hundreds of overturned orange construction barrels on Michigan Ave. They were splayed across the street, toppled. A pack of wild dogs flashed in my headlights, and went haranguing through them like pin-balls snapping at each other." As a teaser, first single "No Silver" is available online for streaming and digital download. 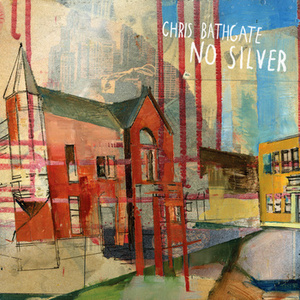 Listen to Chris Bathgate "No Silver" (MP3).